A few months ago I wrote a post titled: “Which wine pairs well with pizza?”, about the best wines to pair with pizza. This was a super fun endeavor…to test all the delicious, fancy and unique Italian bubbly Lambrusco red wines, and to make homemade authentic Margherita pizza to go along with it. For this go around I’ll introduce you to Italian dessert wines. Italy is well-known for its abundance of high-quality, artisanal wines, produced throughout the country from the Northern regions, like Piedmont and Friuli, to the Central area, like Tuscany, Umbria and Abruzzo, to the Southern regions, such as Sicily and Sardinia. There’s a tremendous diversity of Italian wines, with 20 regions where wines are produced and more than 500 grape varietals. From this harvest comes more than 400+ DOC/DOCGs (which admittedly, I was oblivious to before…keep reading for the translation). DOC or DOCG on an Italian wine label means Denominazione di Origine Controllata, and Denominazione di Origine Controllata e Garantita, respectively. Essentially, they both refer to governmental guarantees of the wines’ origins. The former one is the highest designation of quality among Italian wines. So, you can trust an Italian wine bearing one of these designations to ensure the best quality. I’m confident that anyone can find his/her absolute favorite Italian wine amongst these designations (trust me, you have some great options in here). “Made in Italy” wines are the way to go! Whenever I reach for a glass of authentic, high quality Italian wine, I feel like it immediately transports me back to the beautiful country of Italy. Whether it’s one from Tuscany, Piedmont or Sicily, I’m all in. I’ve been to Italy many times and I simply adore this historic, high-value cultural experience. 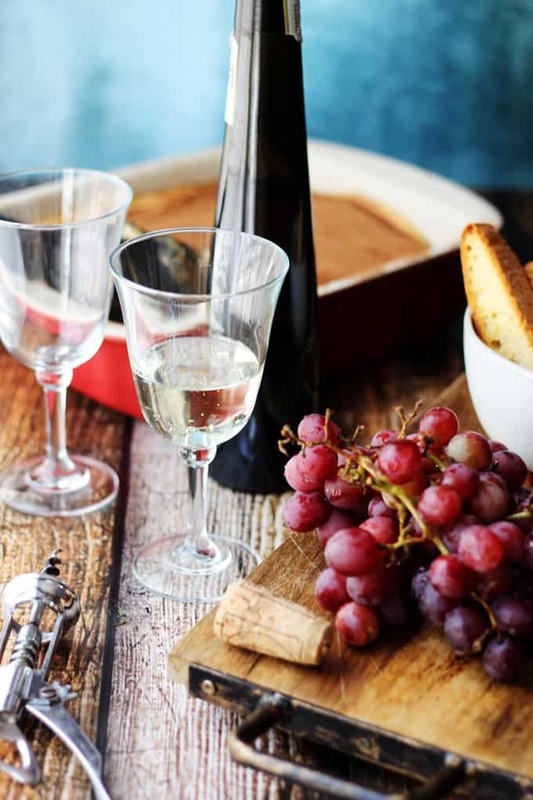 Whenever you go in Italy you’re guaranteed to feast on the best Italian foods, which are invariably paired with the best quality wines, and finished off with a delectable dessert. 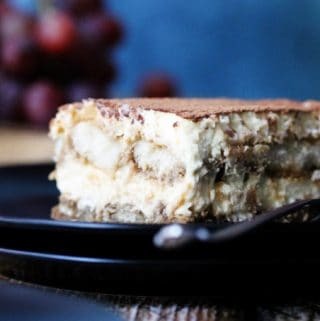 Whether it is a biscotto, affogato, pudding, cheese board or a famous Tiramisu (which is my absolute favorite and therefore I am giving you the best, authentic Tiramisu recipe right at the bottom of this post) you’ll be served a…dessert wine. I will show you few of my favorite Italian dessert wines below and you can choose a dessert to go with it. I am biased toward my Tiramisu so I am going with it. 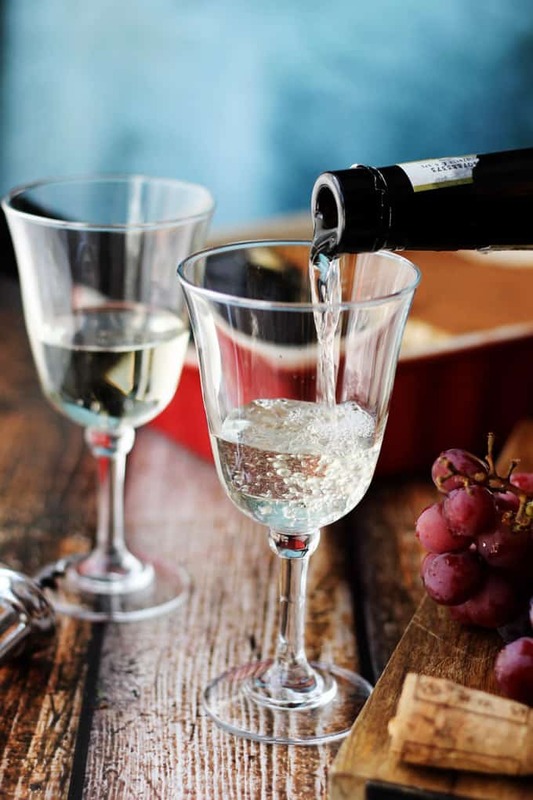 Probably the well-known of Italian dessert wines is Moscato d’Asti. It comes from the Moscato Bianco grape and it is mainly produced close to the town of Asti and in the provinces of Alessandria and Cuneo, in Piedmont region. Moscato is fresh, fragrant, mildly fizzy, pale in color and low in alcohol. It’s both delicate and complex at the same time with hints of oranges blossoms and dried apricots. Moscato wine producers crush and press the juice, then hold it in its unfermented state in refrigerators until orders arrive. At that point they will partially ferment it to 5.5% of alcohol, to ensure its freshness all year long. 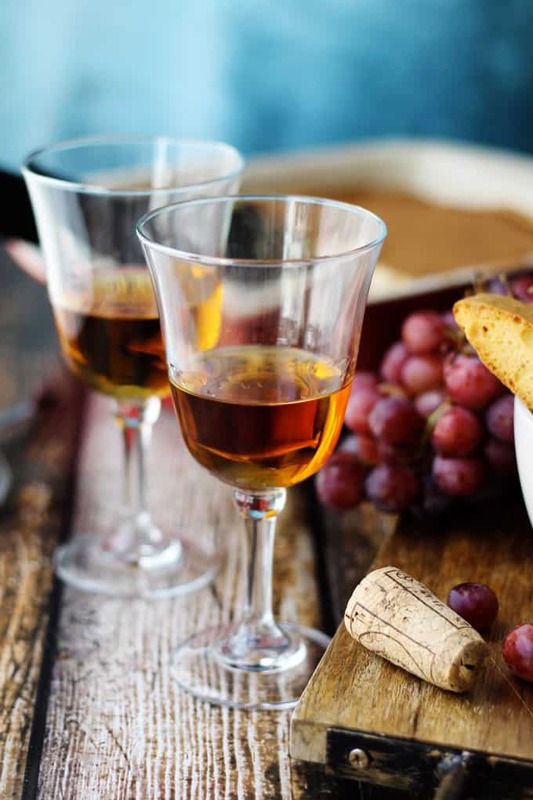 One of the most popular passito, or straw wines, is Vin Santo. The name literally means ‘Holy Wine,’ and there are several theories on how it gained its name. One of the most likely stories was that the grapes were traditionally pressed and fermented during the Easter Holy Week. But there are other theories too… One refers to the common use of the wine for religious purposes. Another links the word “santo,” to Greek wine “Xanto” from Santorini. Apparently Greek scholar tried Vin Santo in Florence and it presumably reminded him of this Greek famous wine. 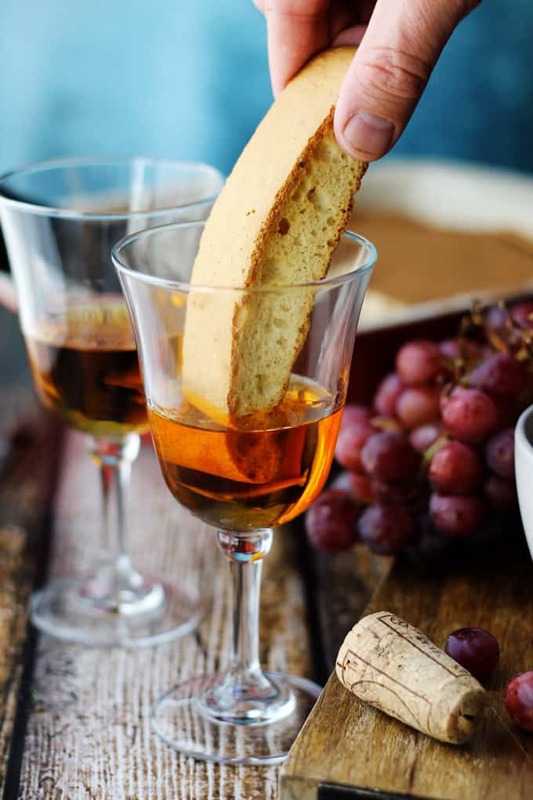 Vin Santo is made in both Tuscany and Umbria, usually from Trebbiano and Malvasia grapes. As mentioned above, the grapes are picked and left to dry on straw mats for couple of months before being pressed. Then, once pressed, the juice is fermented and aged for many years in small barrels called caratelli that lose volume over the years, so they’re partially exposed to the air. 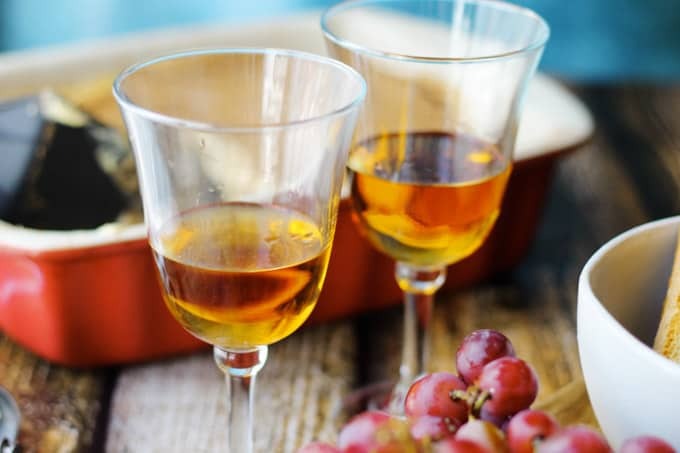 Vin Santo has an amber color with a scent of apricots and the smooth taste of caramel and nuts. It’s usually consumed with a cantucci (almond biscotti), which is often dunked in the wine. Some of the really top Vin Santo wines are expensive, but extraordinary. If you have a chance to try one, then I encourage you to do so. It will create a really extraordinary experience. And again, look for one with DOCG designation. Next on the list for passito wines should be Recioto della Valpolicella. This wine is made in a real traditional fashion, with DOCG designation, in the region of Veneto – in the heart of Valpolicella. It is made from grapes native to the region: predominantly Corvina Veronese, Corvinone, and Rondinella. In order to make Recioto, the winemakers let the grapes wither in special wooden crates for about 200 days. Then around January, they are pressed and brought to fermentation. At some point the fermentation process will be stopped, to preserve the sweetness of the wine. Close relative to Recioto della Valpolicella is Amarone. There is an interesting correlation between the two of them. Rumor has it that the Amarone was a result of a mistake in making Recioto. 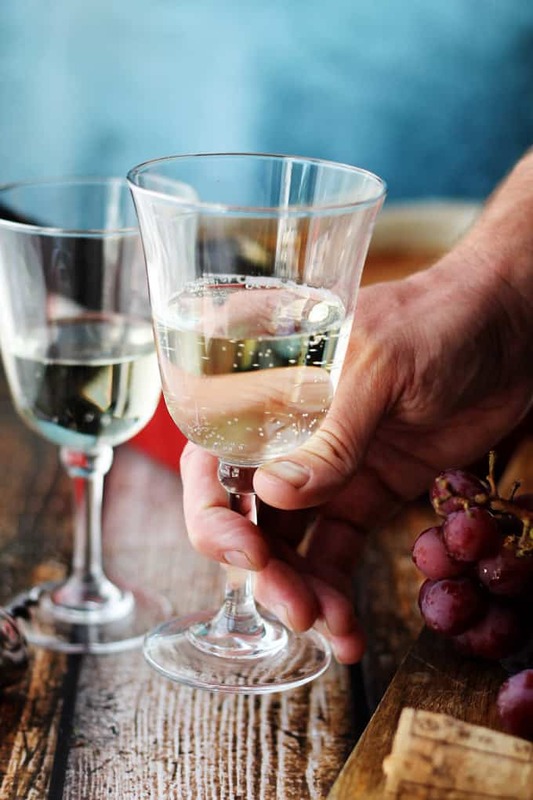 Instead of interrupting the fermentation process to obtain a sweet Italian wine, a winemaker let it ferment a bit longer until all the sugar was consumed. The result was a bitter wine (amaro means ‘bitter’ in Italian) and so Amarone was borne. Amarone, however, would be served with the main course or dry cheese as opposed to a dessert. I encourage you to try both to understand the difference. One more important point: Recioto is called a “meditation wine;” meaning it should be sipped slowly. It may be expensive, but it’s definitely worth it. So, give it a try and I’m certain you won’t be disappointed. Passito di Pantelleria comes from a tiny island located south of Sicily. It was granted DOC status in 1971. This wine is produced from the indigenous Zibibbo grape. It’s a passito wine that, as do the others mentioned above, requires the grapes to dry on the straw mats before being pressed. There are number of variations to making this wine (i.e., how long the grapes are dried, duration of fermentation process, etc.). 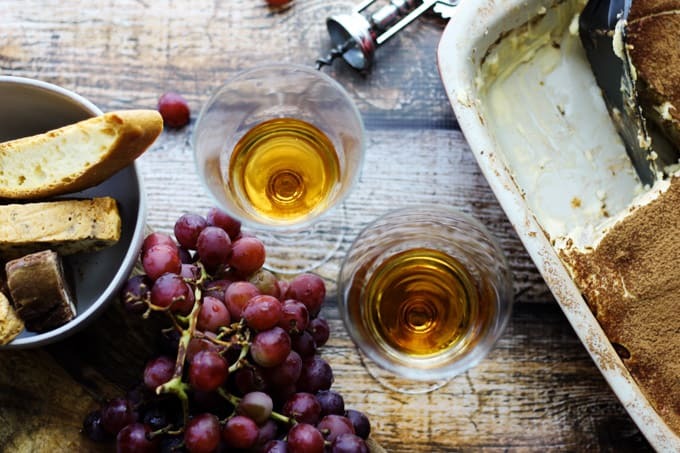 Regardless of these subtle differences the end result is a sweet, amber-colored wine with intense, apricot aromas and honey and herb flavors. As you’ve probably already guessed, it’s another one of the meditation wines – which requires you to slowly sip and enjoy. 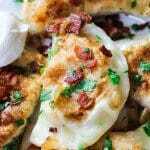 It can be served in lieu of dessert, or accompany biscotti, cakes, pastries or a strong cheese, such as Gorgonzola or Stilton. Ramandolo is a sweet wine that is unique for number of reasons. First, it’s made from a distinct grape that it grown in a special place. The grape used in this wine is Verduzzo Giallo and it is not grown anywhere else in the world except for the northeastern part of Italy. The zone of Ramandolo is Friuli’s only DOCG area. These grapes also have a greater degree of tannin in the skin, which gives Ramandolo wine its unique taste. 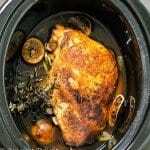 It offers a fragrance of dried apricots, chestnuts and honey, with just the right amount of acidity. Many of the vineyards are situated on slopes of hills and are too steep to be worked by machine. The climate of the region and the tradition of winemaking adds to the unique taste of this outstanding wine. 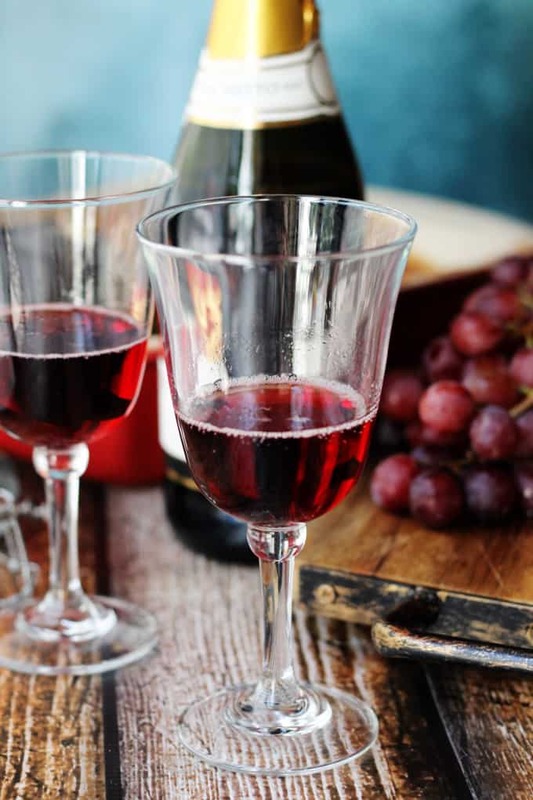 Brachetto is a delicious, red sparkling wine. Its famous for its floral and strawberry aromas. The interesting thing about this one is that to obtain its aromatic taste, fermentation is interrupted at an alcohol level of 5%. As a result, part of the original sweetness is retained in the wine. It is produced from black grapes name ‘brachetto’ . The DOCG for Brachetto is Acqui, but it is permitted to write Brachetto d’Acqui on the bottle. It is absolutely delicious and I encourage you to try with any dessert, but surprisingly it goes really well with cured meats too. As you can see, there are a ton of incredible Italian dessert wines which vary in color, texture and taste. They all can be served independently, and enjoyed sip by sip, or they can be accompanied by an outstanding Italian dessert. 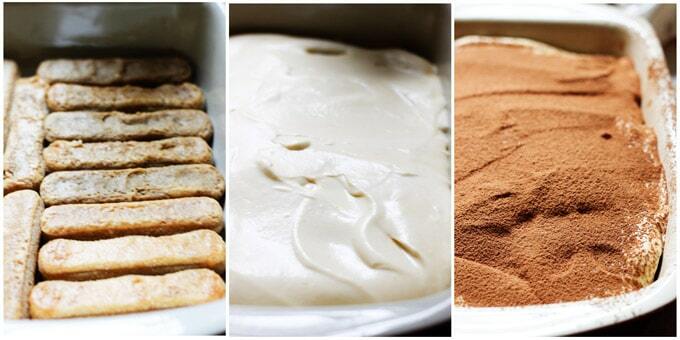 I decided to give you a recipe for my favorite Italian dessert – a classic Tiramisu. 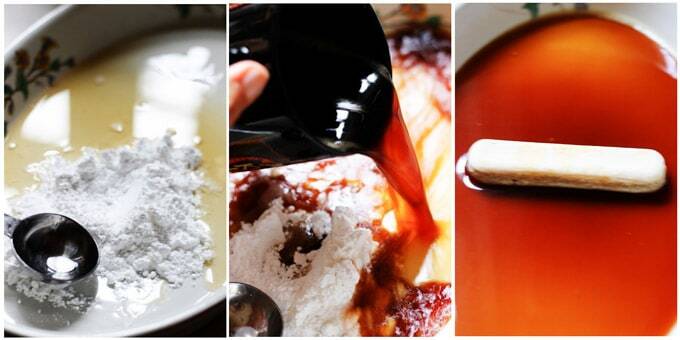 It’s very easy to make and it just uses a few simple ingredients, but there’s a technique and finesse that needs to be performed in order to achieve the best result. 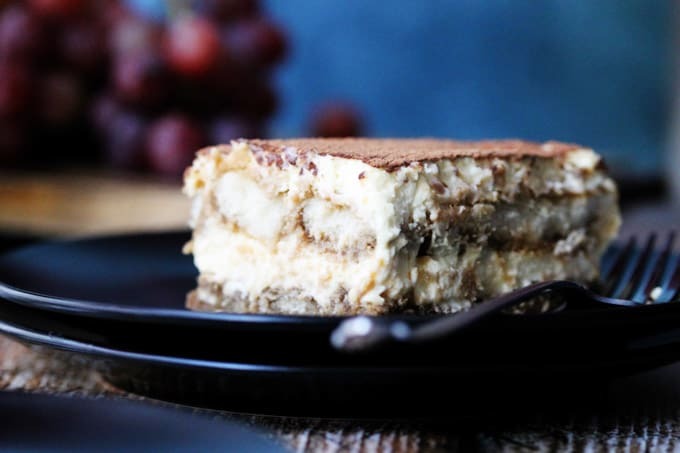 Below you can find a printable recipe with all the ingredients and measurements, but here I wanted to give you a few important tips to keep in mind when making it, to ensure that your Tiramisu comes out perfectly. Gently dip your ladyfingers in coffee mixture to make sure that they are covered with liquid (but not soaked). Follow the instructions in the recipe carefully and you’ll be sure to get yourself the best, authentic Italian Tiramisu. Enjoy this outstanding dessert and let me know which Italian dessert wine you have chosen to go with it. 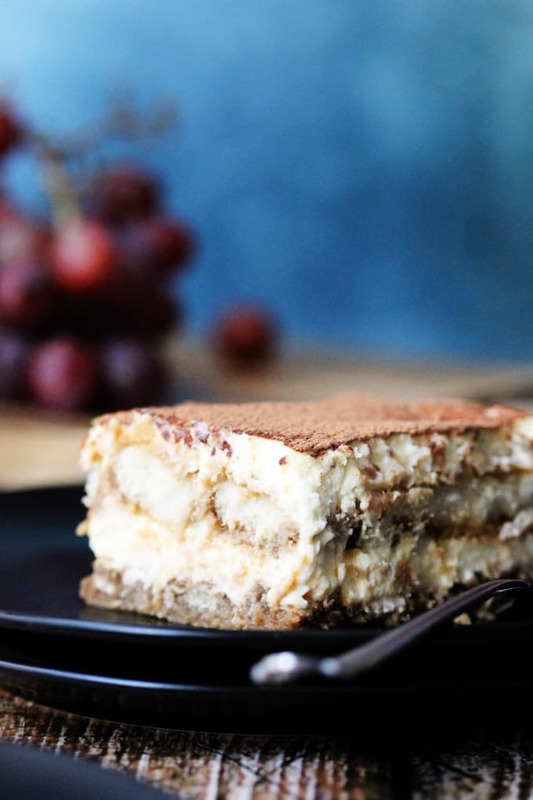 Classic and Authentic Recipe for Tiramisu, a famous Italian dessert. 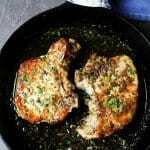 Serve with your favorite Italian dessert wine and enjoy! 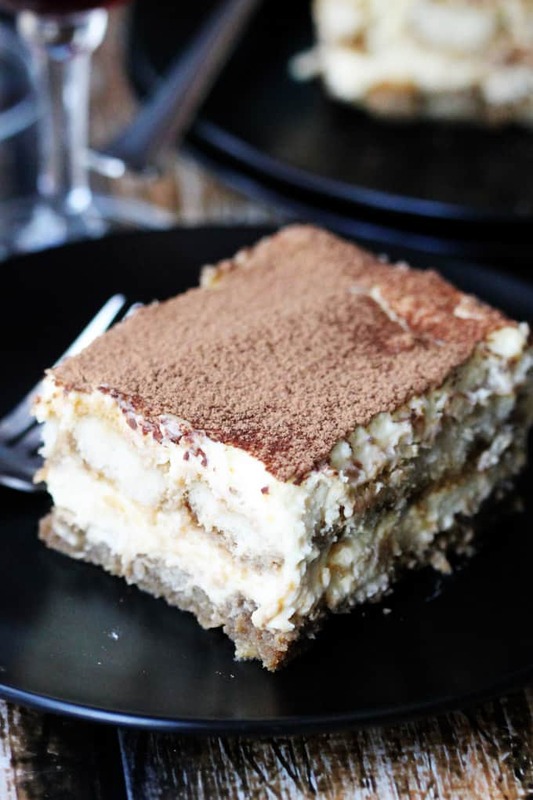 I wish I were at your table drinking that beautiful Italian wine and indulging in that delicious tiramisu! What a perfect pairing for sure. This tiramisu looks amazing! 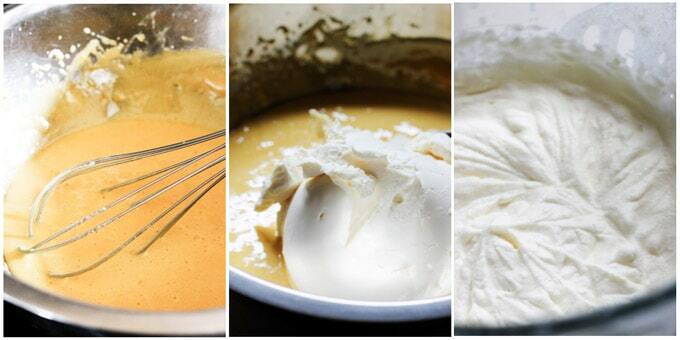 I really need to grab a bottle of the Ramandolo wine and make this recipe because this would be the PERFECT dessert. What an interesting post! As I fellow oenophile, I love learning about new wines. I’m about to pin this post so I can refer to it later … and now to go check out your wine recommendations for pizza! LOVE this post! 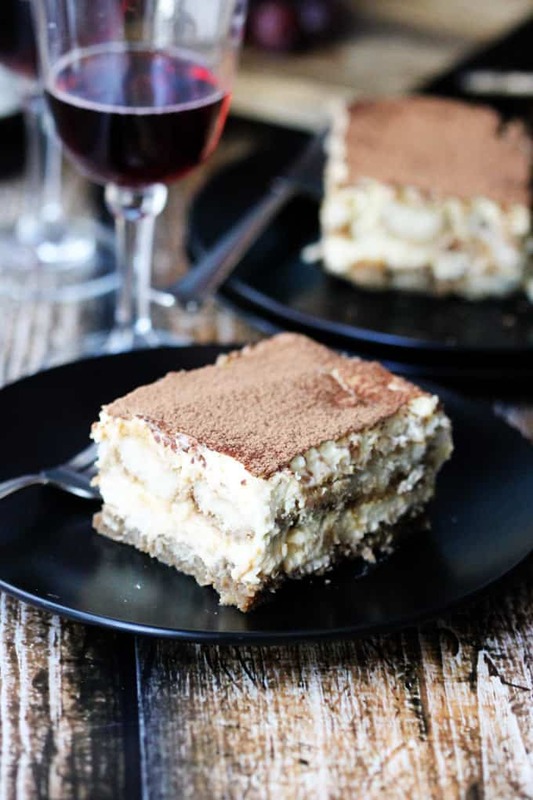 i know nothing about dessert wines, I’m not a huge fan but I’ll definitely take a piece or two of the tiramisu! Thank you so much for the wine education! I can’t wait to put this new-found knowledge to work for our next dinner with friends. I think I just got educated! Hahah I know zilch about dessert wine so thanks much for sharing this. Love!